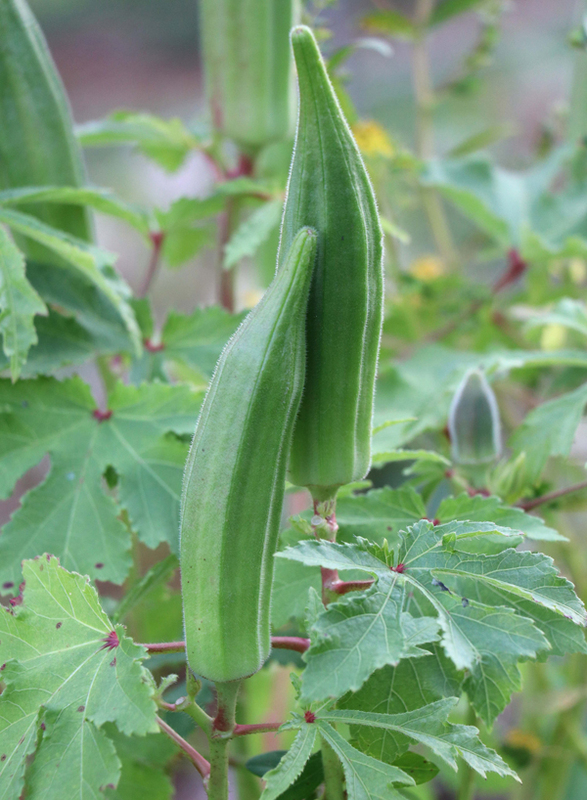 “(Dwarf) Cajun Jewel” is a lovely dwarf okra, which has grown happily in a pickle bucket on my patio. 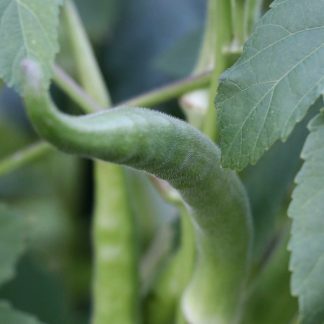 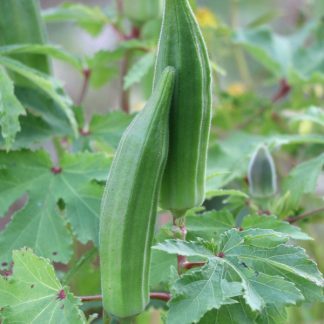 This variety really expands the geographical area of who can grow tasty okra, as a pickle bucket is highly mobile for protecting from early and/or late frosts. 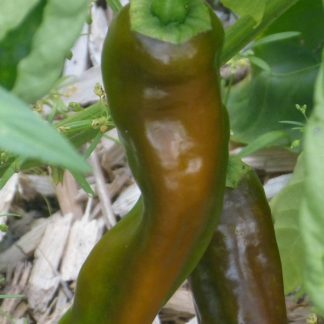 I cannot find a history of this variety, other than various versions of the same statement that it is a Louisiana heirloom since the 1950s.